Looking for proximity to greatness? Stay a few blocks or mere steps from culture hubs, restaurants and popular attractions—without sacrificing comfort or amenities—at these stylish city hotels. Copenhagen’s historic quarter is home to Christiansborg Palace, the 17th-century Round Tower, Charlottenborg Palace art gallery, Nikolaj Kunsthal Contemporary Art Center, and Sanders—a beautiful contemporary hotel conceived by renowned ballet dancer Alexander Kølpin. 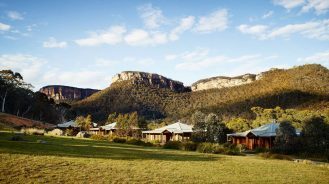 After an afternoon of seeing the sights, soak up the hotel’s bespoke hygge interiors and architectural details before savouring the fresh, local menu items and pleasing wine selection. 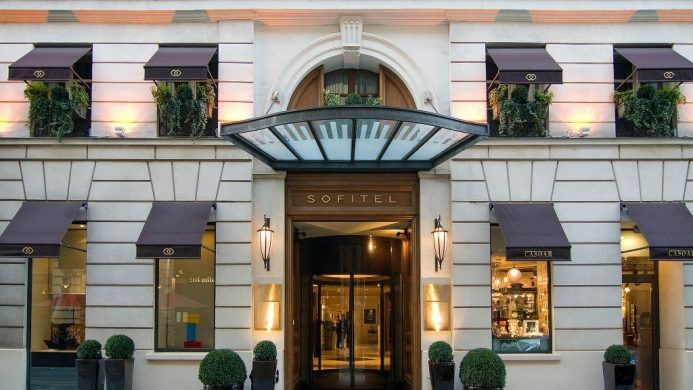 With Chanel, Commes des Garçons, Christian Louboutin, and Hermés around the corner, Sofitel Paris le Faubourg is a draw for fashion-forward visitors to Paris. Expect couture-apartment styling inside the 8th arrondissement hotel, whether sipping cocktails at Bar du Faubourg or relaxing on a well-dressed bed. Further sartorial satisfaction can be found on Avenue des Champs-Elysées. There’s also a wealth of gardens and fountains in the vicinity too. There is no match for Manhattan’s concentrated attractions, and Andaz 5th Avenue is at their doorstep. 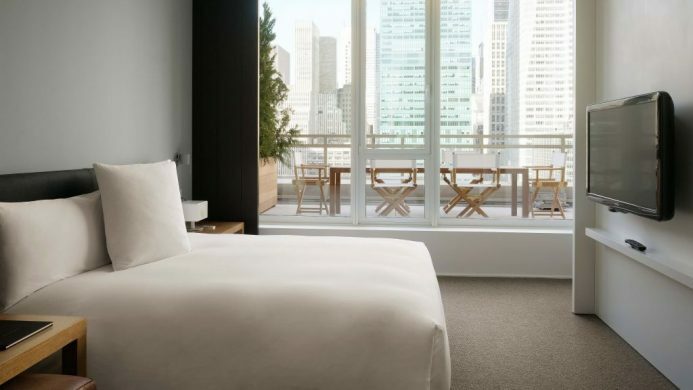 The minimalist hotel is located in Midtown across from the New York City Public Library, next to plenty of Fifth Avenue shopping, and in close proximity to Grand Central Station, Times Square, on- and off-Broadway theatres, and the Empire State Building. When you need to hit pause, hide away in your plush, distraction-free room or pick up a book at the hotel’s own library. 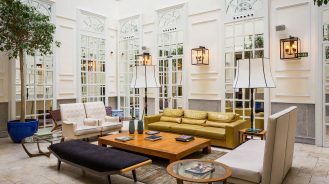 Flanked by theaters Calderón, Figaro and Flamenco, NH Collection Madrid Palacio de Tepa is at the cultural epicenter of Madrid. 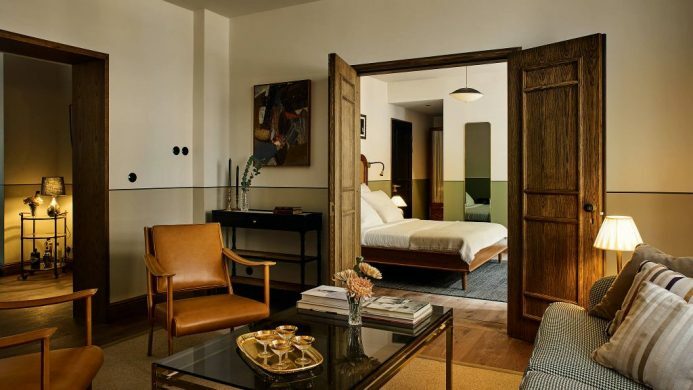 The hotel’s Barrio de Las Letras neighbourhood is known for its bohemian vibes, luring literary types, poets and creatives for over a century. Visit nearby landmarks including the Royal Palace, Plaza Mayor and the Royal Theater. When you’re done, the natural light and lounge chair in your room are perfect for writing your own city tribute (even if it’s just on a postcard). Find yourself enveloped in history thanks to the Fairmont Copley Plaza’s proximity to the Freedom Trail, a 2.5-mile path through Boston with stops at museums, churches, parks and landmarks of the American Revolution. 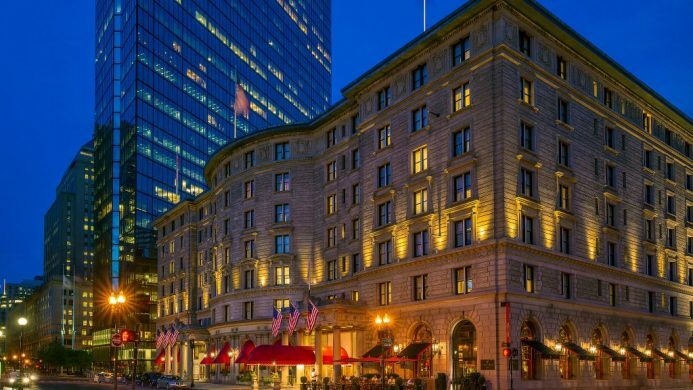 A landmark in its own right, the hotel is located in the affluent shopping and dining district of Back Bay, just steps from Beacon Hill, Trinity Church and the Boston Public Library. Review your Newbury Street finds back at the hotel before having a bite at OAK Long Bar + Kitchen. London calling? 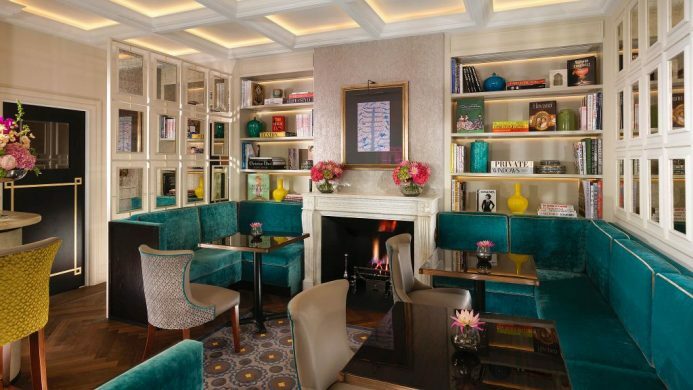 Opt for beautiful British style in the heart of the capital’s trendy Mayfair neighbourhood. Debuting in step with the Great Exhibition in 1851, Flemings Mayfair remains an icon of luxury and taste, impressing guests with Michelin-starred dining and apartment-style suites. The hotel is situated near iconic attractions, museums and landmarks, including Buckingham Palace, St. James Palace, Hyde Park, the National Gallery, Gagosian Gallery and Trafalgar Square. 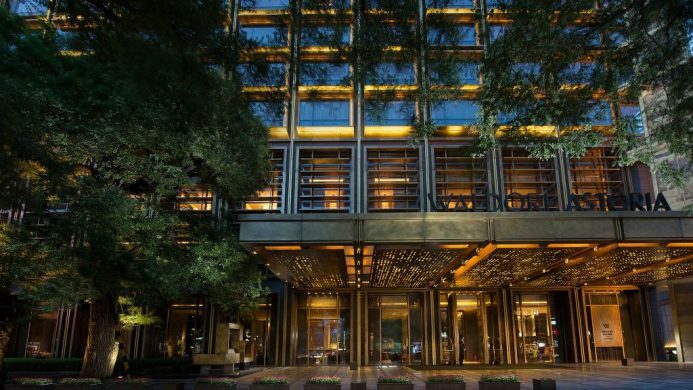 Despite a historical 1960s opening that included famed guests The Beatles, it’s business as usual at the embassy district’s Capitol Hotel Tokyu. Not only is the building adjacent to the National Diet (houses of parliament), but it’s also near the Prime Minister’s official residence. 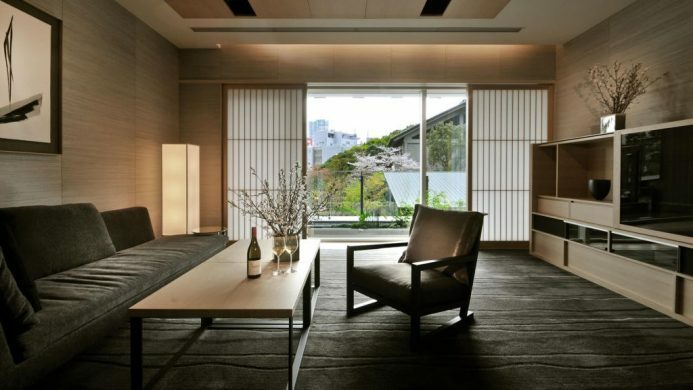 Balance these political heavy-hitters with a visit to nearby Shinto Shrine before retiring to your peaceful room, complete with sliding shoji shades and the high-tech amenities Tokyo is known for. 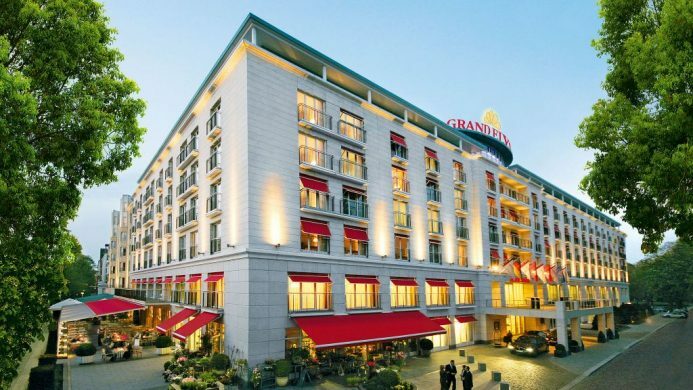 Nestled in Hamburg’s center, the Grand Elysee hotel is a great spot from which to discover the medieval charms of this historic port city. When you’ve had your fill of the exhibition center and congress center, explore Alster lake and Planten un Blomen park, wander through the botanical gardens or spend a night at the nearby opera house. 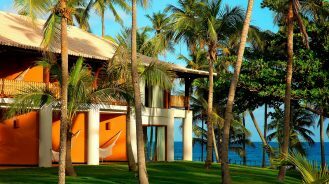 The plush king bed in your suite and holistic wellness package at the spa serve to revive tired soles. 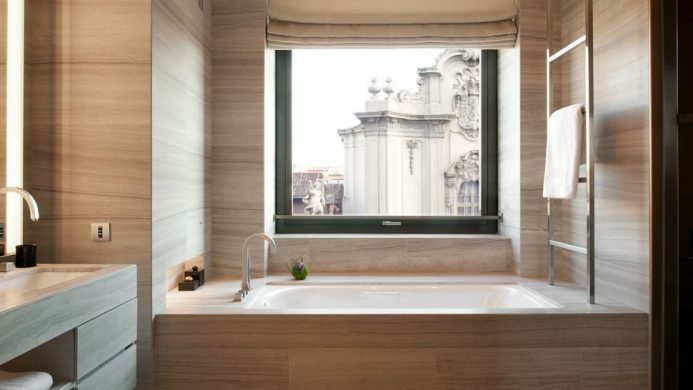 The tasteful Armani Hotel Milano is situated in renowned fashion district Quadrilatero della Moda. 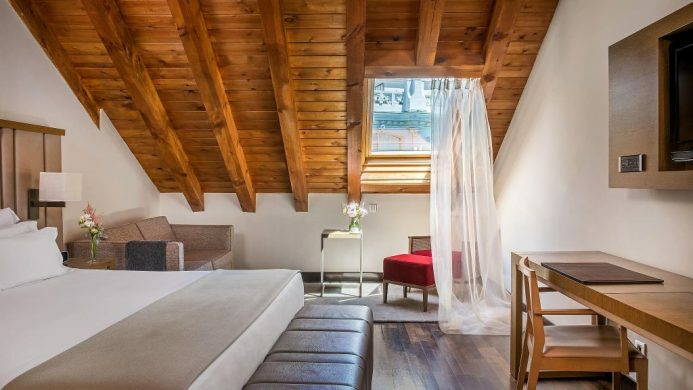 Near the incredible architecture of the Duomo di Milano and within earshot of the operatic magic of La Scala Theatre, it makes a spectacular Milanese home base for culture junkies, design lovers and shopaholics. Indulge in a half-day of holistic spa treatments at the namesake spa before cocooning yourself in the wall-to-wall Armani aesthetic in a well-appointed suite. See the very best of Beijing—the remarkable Forbidden City, historic Tiananmen Square, and scores of museums—from the Waldorf Astoria, a contemporary landmark in a 700-year-old neighbourhood. Be sure to sample the comfort food at the elegant hotel’s New York-style brasserie as well as traditional Beijing plates at Cantonese restaurant Zijin Mansion, just the thing after a day of shopping along famous Wangfujing street. Right next to New Delhi’s business center, embassies and government offices are a few notable archeological monuments, including Safdarjung Tomb and the beautiful National Indo-Africa Friendship Rose Garden. 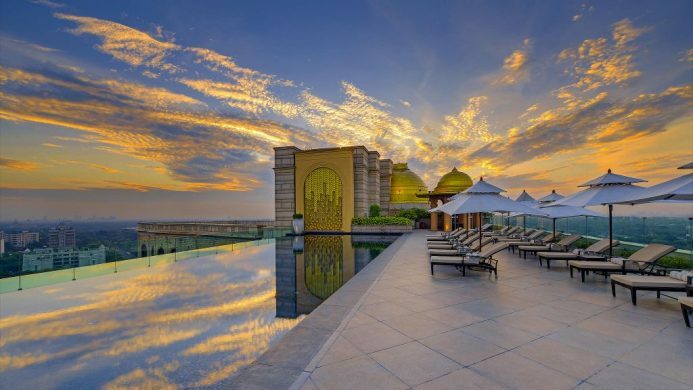 The mix of stately and serene continues at Leela Palace, where gilded Turkish chandeliers and a menu of Ayurvedic massages await. Take pause at the end of business day in the courtyard garden, or on your plate at Qube restaurant.